Miss Harvey and Miss Griffiths are full time P.E. 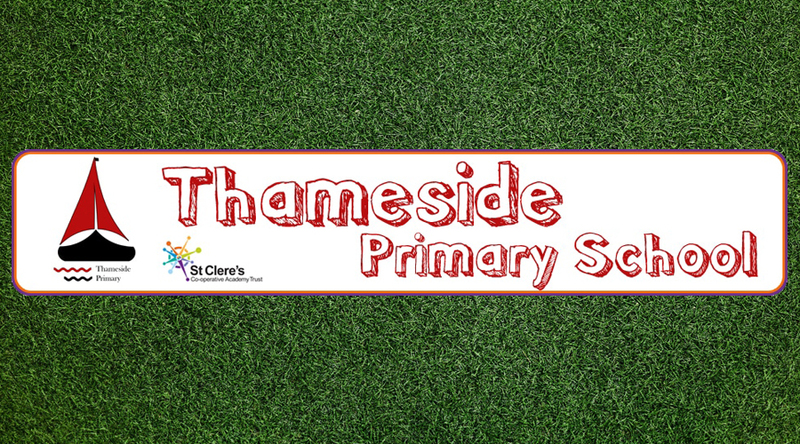 Teachers and promote sport, including rounders, within Thameside Primary School. During our Summer term we play rounders as part of the curriculum for years 3- 6. All pupils will get at least a 6 week block of rounders. We also play a variation of the game in years 1 and 2 called skittle rounders. This is where 4 cones are placed in a square, with a bigger cone in the middle. The aim of the game is to get all the way around, before the fielders aim for the cone. But the only people who can aim are the people sitting next to the cone. The other fielders are there to throw the ball to the people on the cone. We have both before and after school club’s for years 5 and 6 and one for years 3 and 4, which is open to all pupils. We have two rounders teams and we do a rounders session for the team players before school on a Wednesday. Previously there was no Rounders league for Primary pupils in Thurrock and the school had not played rounders in a very long time. To promote the sport and get our pupils valuable experience we as a school we decided to run a league in this area. It is very successful, having now at least 10 schools participating in it. We also attend the Borough Rally each year and if successful you then go onto the County tournament, which leads into the National championships. We have been lucky enough to have attended the National championships 2 years in a row and progressed to the quarter finals last year. During our Summer term we play rounders as part of the curriculum for years 3- 6. All pupils will get at least a 6 week block of rounders.